Our compact rigid air filters are made using polypropylene filter media that meet the EN 779:2002 industrial standard for filtration efficiency F5-F9. 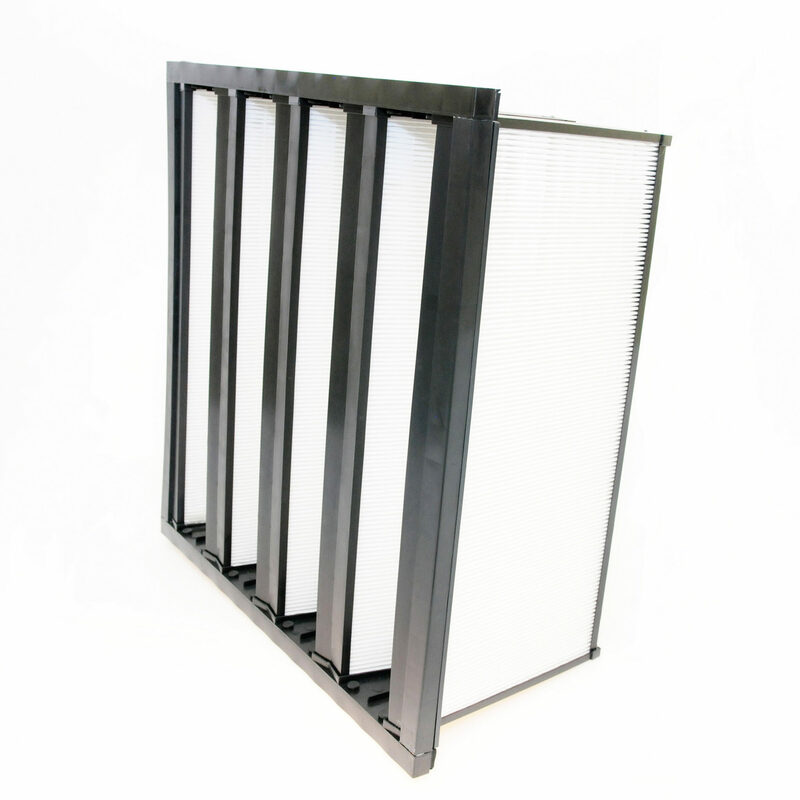 The rigid filters are constructed using Irema’s Micro 3000 stiffened, mini-pleated polypropylene media with a hotmelt adhesive, supported by a polystyrene frame. Irema Ireland’s rigid filters have a low pressure drop, high dirt-holding efficiency, are water resistant while providing a low energy cost. Our compact rigid filters are made up of eight rows of Irema’s pleated Micro 3000 polypropylene air filter media, housed in a solid polystyrene frame. The ultra-fine Micro 3000 pleated filter media is designed for optimal particulate capture with a > 90% filtration efficiency rate and meet EN 779:2002 and ASRAE 52.2 industry standards for filtration efficiency F5-F9.